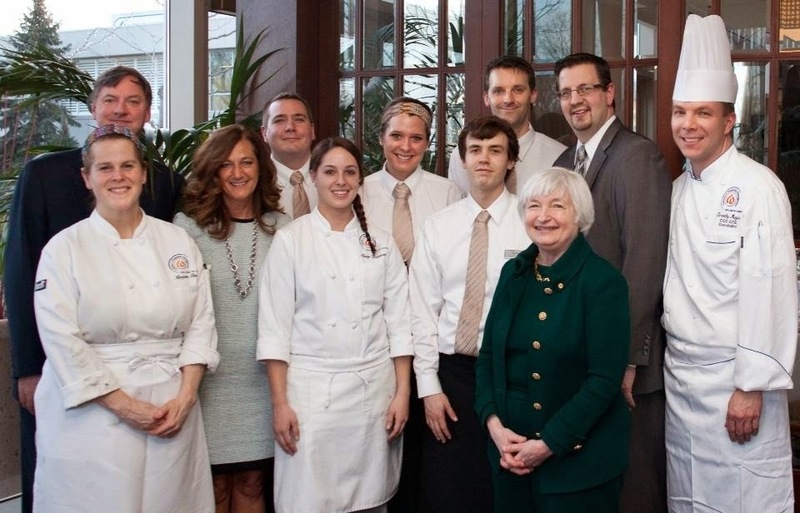 On Sunday, March 30th, Chair Janet Yellen of the United States Federal Reserve dined with nine other Federal Reserve members at the student assisted dinner in Waterleaf. The guests enjoyed various courses including a rabbit gnocchi and duck breast with foie gras. Because of Chair Yellen's enthusiasm and support for community colleges, it was a huge honor and privilege to represent College of DuPage to her.